Are databases under-representing scientific research by developing countries? Major bibliometric databases are presenting a distorted view of the quantity and thematic breadth of scientific research originating in developing countries, a new study suggests. This under-representation in bibliometric statistics may be having an adverse effect on policy development, according to the paper from the Polytechnic University of Valencia and the University of Sussex. The authors of the study set out to investigate whether mainstream bibliometric databases are misrepresenting science research, including agricultural research, in developing countries. To do this, the team analyzed coverage of rice research as reported in Web of Science (WoS) and Scopus. These two well-known bibliographic databases are used by intergovernmental agencies in the international benchmarking of science, and are run by large publishing companies Thomson-Reuters and Elsevier respectively. The team chose to monitor rice as a relatively basic crop grown and consumed by a large number of people in different parts of the world. As a means of comparison, the researchers also analyzed coverage of rice research in CAB Abstracts (CABI), a database specialized in agriculture and environment with a broader coverage of developing countries. CABI is run by an inter-governmental, not-for-profit organization set up by a United Nations treaty and aims to make it easy for practitioners to retrieve information. Two key findings came from the analysis. First, Scopus and WoS were more likely to cover research published in North America and Europe, whereas CABI is much more comprehensive in developing countries. For example, India produced 21 percent of publications on rice in CABI between 2000 and 2009, but less than 10 percent and 9 percent were recorded in Scopus and WoS respectively. At the same time, US publications made up 7 percent in CABI, but 15 percent and 16 percent in Scopus and WoS. “As a result of CABI’s larger coverage, Western countries relative contribution to scientific production on rice is much smaller than is usually acknowledged when using standard publication databases such as WoS and Scopus,” according to the paper. The second important finding was that, compared to CABI, there is greater coverage in the mainstream databases of topics relating to molecular biology and consumption, which are of more interest to developed countries. At the same time, Scopus and WoS have significantly less coverage of topics relevant to farmers in developing countries such as rice production, pests or plant characteristics, useful for improving yields. “There is no doubt that the low coverage of many low and middle income countries in the mainstream databases result in a very distorted perspective of the research they carry out,” the paper states. 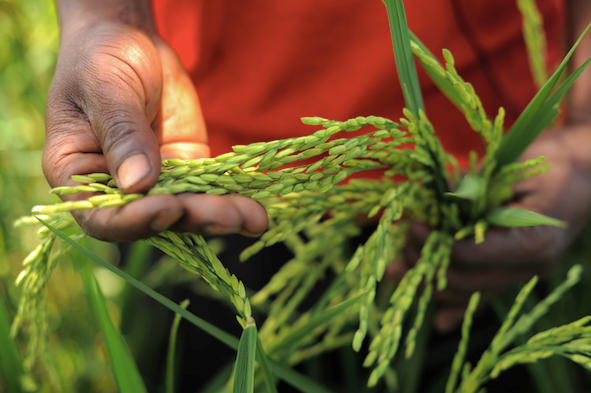 The significance of these findings for rice research is that they may apply to other fields of agricultural research, particularly to crops of less interest to industrialized nations, according to the paper. And the danger of this distorted view is that benchmarking exercises using bibliometric statistics may result in strategies and policies that fail to take into account domestic knowledge and techniques that could be developed in closer connection to farmer needs. Do you think that scientific research by developing countries is undervalued? Tell us what you think below. Thank you to the AIMS-FAO team for raising awareness on these important issues, very good example to make your comparative study with knowledge production on rice. In our case, social sciences in a developing region, we are also, as is the case of agriculture you describe, under-represented in WoS and Scopus. Social sciences contributions to production of knowledge on issues of interest for local and regional needs and conversations is best reflected in local/regional journals which receive growing interest (Redalyc and SciELO index and provide open access to more than 1.500 peer-review journals from Latin America with several million downloads each month; AJOL and SciELO South Africa have growing collections of peer-review journals from Africa). Open access subject/institutional digital repositories make a strong contribution with growing number of users (e.g. : CLACSO´s social sciences repository receives a million downloads each month). To your question “Do you think that scientific research by developing countries is undervalued?” I answer yes, and we, in developing regions, have to improve our evaluation systems so as to give more value to knowledge contributions to local/regional needs, published in local/regional peer-review journals, research repositories and other local/regional quality publishing venues.